Genuinely interactive technology in instrumental tuition is more than e-Learning – it is Real Learning! Nobody would disagree with Mr Gove’s aspiration; especially parents and pupils. The scale of the challenge set by Mr Gove must not be underestimated though, and we have long argued that we need to utilise technology to support our workforce to deal with the issues of scale and reach. However, those of us involved in teaching with technology must be clear of what we mean by interactive technology. We must also convince traditionalists that technology produces real outcomes, is not a gimmick and is designed to be used in addition to, not instead of, high quality teachers and teaching. So let’s start by being clear and demanding of our vision of elearning in instrumental tuition – it must be real learning. 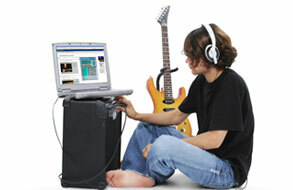 blend activities to enable skills development to support academic development and musical literacy. Musical instrument tuition needs to be even more demanding of technology for it to be meaningful and it must be genuinely interactive, so that it can provide formative feedback to the learner and, an opportunity for the teacher to provide personalised assessment to support the learner’s progress. We, of course, believe that Gigajam is unique in its offer and well placed, not only, to meet the current demands, but to evolve its services and meet the continual improvement that we demand from our technology in helping raise standards. Let’s interogate the basis upon which Gigajam was created. Knowledge – Delivery of high quality information, containing multimedia: Narrated text, Video Clips, Diagrams and Graphics, Glossary, ordered into lessons that can be used by teachers, as detailed lesson plans and absorbed by students when working on their own. *all lesson formats linked to exercises interactive software. Application – This is where the majority of instrumental learning takes place, with the student being able to repeat an exercise to develop competence. 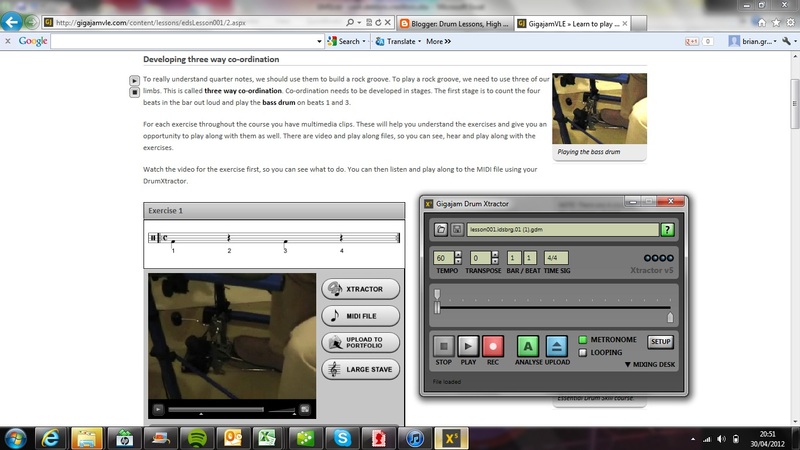 Gigajam’s Xtractor software is, firstly, a play along device, and was designed to simulate playing along with a teacher. Students can adjust the exercise; making changes to the tempo, the mix of the backing band and also isolate sections of the exercise to loop around, so they can focus on small technical difficulties. Students can also record and listen back to their performance, as well as save it for future reference and share with teachers and peers for their feedback. In terms of learning skills Xtractor is hugely important. Within Bloom’s Taxonomy, application (practice to musicians), is explained more deeply in Reynold’s Model of Developing Skills. 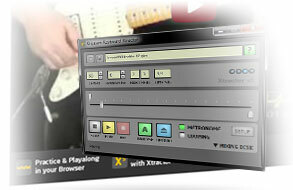 Using Xtractor to practice is the first level of interactivity, as the student interacts with the software to do what real musicians do – practice, practice, practice! This is very real learning and is essential in becoming competent. Analysis – Gigajam Analyser provides the second level of interactivity, and is highly significant in its impact on outcomes for the learner. It is significant because in the learning process Analyser provides immediate formative feedback to learners. This is almost impossible to do with groups of pupils and when the pupils is away from their teacher. % score that incentivises students to score as well as they can (generally by practising more). Graphically represents whether the students have; played the right note, in time and for the right length. 2. Students can keep all of their performances by uploading directly into their online locker, which contains a dedicated ePortfolio, and enables students to view their progress in two ways. 3. Teachers also benefit from the Analyser; as students can capture all of their performances, this provides continual and summative assessment. Teachers can view all of their students work and provide comments to deepen the assessment for learning. The analyser’s ability to score students work means that all of the students work is automatically scored, even to the point where the system can produce lesson completion certificates automatically. Without technology it is incredibly difficult to provide continual assessment in a music classroom. The analyser, in conjunction with the reporting functionality of the website, means that continual, formative and summative assessment, as well as communication between students and teachers, is an added service, only possible when using interactive and dynamic technologies. 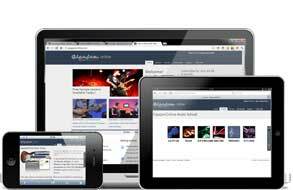 Synthesis – Gigajam’s curriculum is based on a tried and tested pathway of study written by professional musicians and educators. The courses written are designed so that students develop their own instrument specific skills, and are complementary with the other instruments in creating a band. Students can play together at the end of each lesson, each grade (lesson 2, 4, 7, 10, 20, 30) and each level. Additionally, the Rock Orchestra module enables Gigajam rock musicians to perform with an Orchestra, as the songs for level one have been scored for an Orchestra and Rock Band to play together. 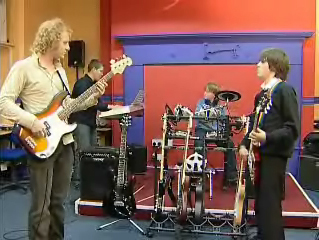 Developing students into musicians must incorporate the opportunity for students to come together and develop their live performance, recording and composition skills, so that the tangible music skills they learn, both performance and academic, can be brought together in a series of music making activities. Teenage Kicks – Year 6 students bringing their skills together, downloading lyrics and working a song out wth their teacher which contains skills they have been developing. Evaluation – Once teachers have faciltated the opportunity to synthesis music making, whether at the end of the first session, or the 30 lesson, group evaluation, and peer moderation supports pupils to further evaluate what they need to do to progress. Pupils will then be able to reflect on their individual skills and also the methods and approaches they have taken and make evaluation of how theu can change, or refine the process and their approach. At Gigajam we believe that by blending the benefits of good interactive technologies, alongside solid teaching and learning, technology has a significant role to play in upskilling pupils with tangible music making skills. Blending the activities so that students can distill their skills and demonstrate meangingful and lasting progress will support greater participation and raise standards. Genuinely interactive technology used alongside good teaching and learning is about developing real skills, using real instruments and providing real outcomes. Soundhouse Music, Australia has become a Gigajam distributor providing local representation for the first time. 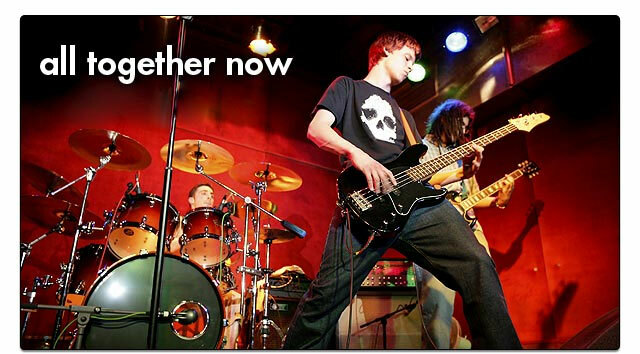 Soundhouse Music are themselves a well established music tuition provider delivering instrumental courses for students, CPD to state schools, as well as running their own music projects within schools. They now offer Gigajam in one of their centres, enriching their offer. Soundhouse believe passionately in the use of high quality resources and technology which enables them to support more opportunities for students to receive sustained high quality instrumental instruction. For more information on Soundhouse Music and their work, as well as Gigajam in Australia, please feel free to contact Ken Owen, Manager Soundhouse.com (Australia). To unsubscribe reply with UNSUBSCRIBE in the email subject. Copyright © 2008 Gigajam. All rights reserved. 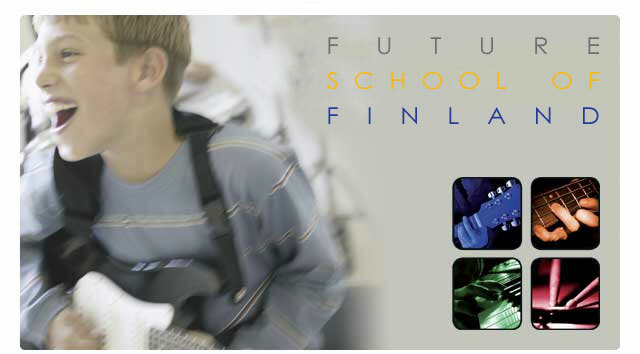 Gigajam has been chosen for the Future School of Finland project in the City of Oulu. This is an exciting project which take a holistic look at education, taking the physical environments, curriculum, and resources as a whole. The Future School project is transforming education in a similar way to UK initiatives such as BSF, the Music Manifesto and the Harnessing Technology strategy. Although we are playing a small part, we are proud to be involved in such innovation.